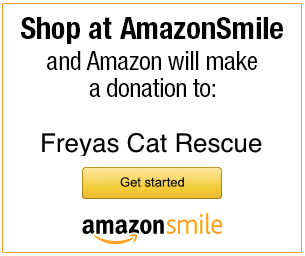 Freya’s Cat Rescue is a registered, 501(c)(3) non-profit, all volunteer cat rescue. Our primary focus is to care for a feral cat colony of strays, abandoned, and homeless cats and kittens. We offer education about feral cat care and encourage new cat owners the importance of spaying/neutering pets for their health and to alleviate unwanted behaviors that may result in their future abandonment. We offer sanctuary to cats in need. Freya’s Cat Rescue, a 501(c) 3 non-profit, no kill advocate, was formed by a group of dedicated volunteers after 13 years of caring for the same established feral cat colony. We have built insulated cat shelters lined with straw, shovel snow in the winter, feed wet and dry food on a daily basis, and spay and neuter the cats for their health and longevity. Many cats and kittens are adopted, further reducing the population of cats forced to live out in the elements. We need your support to feed and build homes and feeding shelters before the winter. Feeding a colony of 25+ cats is a labor of love and very costly!! Your tax deductible contributions help provide ongoing veterinary care, Trap-Neuter-Return (TNR), microchips, food, supplies, licensing, and more. We also appreciate anyone who can volunteer their time to help feed or build cat houses. Or make a one-time donation, also through PayPal. Thank you so much for your donation! Your assistance will greatly enhance the lives of these cats. Copyright © Trademark ™ All rights reserved. This site contains copyrighted material, trademarks and other proprietary information, including, but not limited to text, photos, graphics, Logo, and the entire contents of Freya’s Cat Rescue are copyrighted as a collective work under the United States copyright laws. Users shall not publish and/or distribute such material (in whole or in part) and/or to incorporate it in other works in any form, media or technology now known or hereafter developed. Nothing of my written words, photographs or logo shall be taken from this site. The Freya’s Cat Rescue Logo is original art, a Trademark in Use and may not be copied, downloaded or used in any capacity. Copyright and Trademark infringement is a crime and will be prosecuted to the fullest extent of the law. 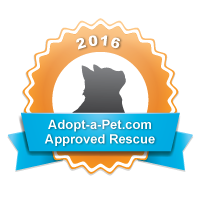 Freya’s Cat Rescue received the GuideStar Nonprofit Profile Bronze level logo, a leading symbol of transparency and accountability provided by GuideStar, the world’s largest source of information on nonprofits. The logo demonstrates Freya’s Cat Rescue’s deep commitment to nonprofit transparency and accountability.